A castle that is constantly rearranging itself, and a young royal family sworn to protect it. 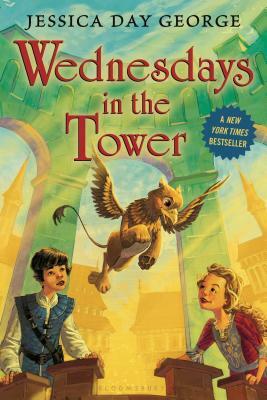 Celie, Rolf, and their beloved Castle Glower are back in this exciting sequel to Tuesdays at the Castle. When her brother Rolf dares her to catch magical Castle Glower creating a new room, Princess Celie takes the challenge. No one knows the Castle better than she does. But as usual, the Castle has ideas of its own. Celie finds the new room first, and inside it is hidden a giant egg. It looks like the Castle wants Celie to care for the egg and whatever creature it hatches, but Celie hadn't bargained for a pet. And caring for this one will prove to be especially tricky once Celie and her siblings realize what else the Castle is hiding . . .
Jessica Day George's magical series is a classic in the making—and not to be missed.